Since its launch in 2012, Google’s Penguin has been updated many times; and, the latest update was announced on September 23, 2016. With each update, the majority of SEO masters starts streamlining their activities under the clouds of misconceptions and uncertainties. What is new in the latest Penguin update that needs your attention to make the SEO efforts more competitive? Now Penguin is more powered to assess the spamming on web pages; so far, it used to assess the whole website for detecting and fixing the spamming intensity. The new Penguin update will affect the ranking of particular pages, sections, and swaths of the website. There are almost 200 ranking signals fixing the position of a website in search results; and, Penguin is one among these. Most of 200 ranking signals are of real-time nature that acknowledge the efforts to improve the content quality fast but Penguin’s affect over the web quality improvement efforts was noticed only after its periodic refresh. After the recent Penguin update, Penguin data would be refreshed in real-time so the ranking changes will appear faster; it means that web owners are no longer at the mercy of unscheduled Penguin refreshes. 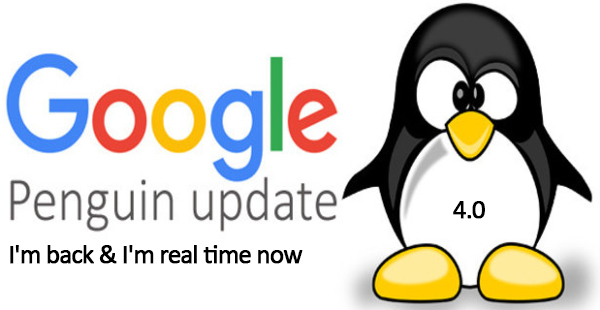 According to sources, the recent Penguin algorithm update is not fully live over the night; it is rolling out. 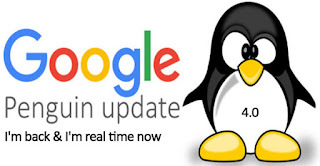 Google people don’t confirm the time for complete roll out of Penguin update but webmasters have a common opinion that it wouldn’t take more than a couple of weeks. If Googlebot crawls the web page frequently, the efforts for the quality improvement will be awarded sooner. Penguin 4.0 update pushes the SEO much closer to real-time marketing; so, the practice of outranking through spam linking will be denounced. An important aspect of this latest Penguin update is that Google again says that it no longer confirms the future of Penguin updates because refining the ranking system is an unabated process. thanks for update us through this blog for the Penguin update that realy help freshers.